Since Sofia became a member of the royal family, she has made a lot of friends. One of the friends she meets right after she becomes royal is Princess Hildegard. 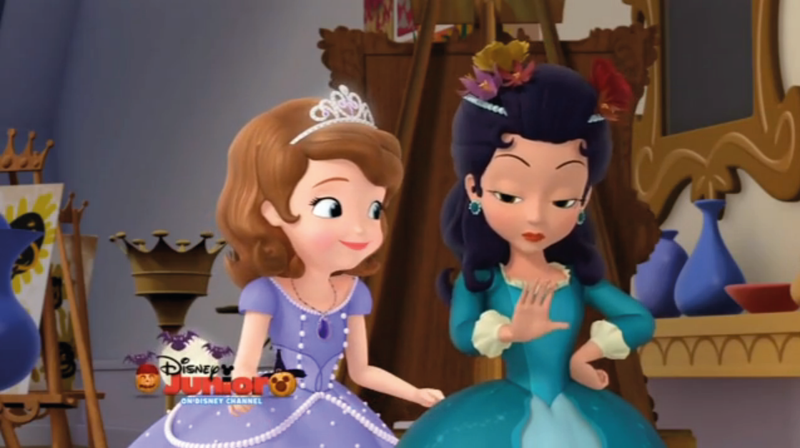 Formerly, Sofia the First and Princess Hildegard are friends, but due to Hildegard’s arrogance, they don’t talk to each other much. That is, however, until one day, when they both attend an art class at Royal Prep. 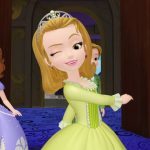 In one of the Sofia the First episodes, Sofia lives an adventure like never before, and this adventure opens her eyes on who Princess Hildegard really is. Up until that fated art class at Royal Prep, Sofia can hardly bear Hildegard’s presence. As you can notice both from the games you’ve played and from the TV series you have watched so far, Princess Hildegard tends to be a little bit self-centered. But more than anything, she is likely to be matched as a know it all. She reveals that this quality helps her integrate within the royal society. “You just have to pretend you know it all, even though you don’t!” she says to Sofia. But is it this what makes you a real princess? A little bit proud and vain, Princess Hildegard pretends she knows everything about enchanted paintings during their art class. Due to her profound knowledge, she and Sofia find themselves trapped inside a magical picture. What does this mean? This means that both princesses could easily leave the painting and return to their class, if only they knew the magic word that helps you get out of any painting. What seems a simple, easy ride beyond the borders of realism, turns into a dangerous adventure where princesses have to fight with a stormy sea and to defeat a wild bull! Why do they have to do all of that? Because Princess Hildegard actually doesn’t know anything about enchanted paintings, nor does she know the magical word to exit the picture. Friendship is always a valuable thing! 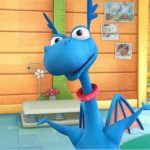 Sofia, however, teaches her friend to overcome her haughtiness by showing how important it is being honest with others, and especially with yourself! Now think about it. Why does one has to lie to someone and pretend they know it all? Just to be perceived as a smart, funny person? But how about honesty? Isn’t honesty an essential value of a real princess? In fact, Sofia’s new friend is a model worth following. Though she may seem a little bit snobbish and self-centered at first glance, once you get to know her, you really start liking her. That’s how Sofia manages to make Hildegard a good friend of hers – by accepting who she is and helping her overcome her flaws. Isn’t this a marvelous way to make some new friends? Maybe, just maybe, you will get to know someone like Hildegard. Snobbish, boastful, yet very friendly and condescending. 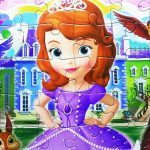 If you feel like you want to know her better, feel free to rewatch some of the Sofia the First TV series and especially The Princess Test and Scrambled Pets. You will surely be good friends, what do you think?